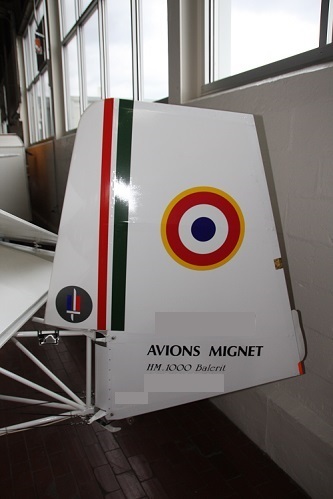 Mignet Aviation was founded in 1984. The chief designer was Pierre Mignet, eldest son of Henri, the inventor of the Flying Flea. The manager and head of the company was Alain Mignet, Pierre's nephew. In many ways, the HM.1000 “Balerit” (a local dialect word for “hawk”) was a modern version of the Flying Flea, continuing the ideals of a safe ultra-light “build-it-yourself” aircraft combined with very simple controls for operation. The HM.1000 is technically very simple to fly. The unusual design, i.e. 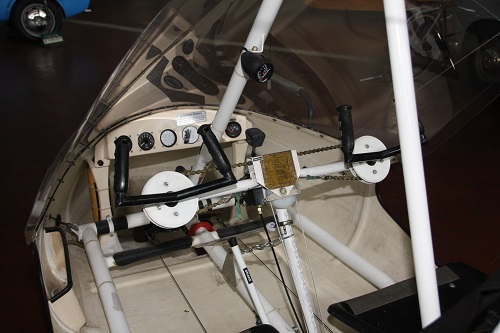 the staggered wings results in an absence of rudder pedals; consequently, typical hand and foot coordination is not required. By the design using tandem wings, it is said that the Balerit cannot stall. Stall typically occurs at low speeds when the air surrounding the wing fails to produce lift. When this happens in a conventional aircraft, it will sink like a rock. The Balerit is designed to compensate for lack of lift; by pulling the nose up, it then begins a controllable parachute-like descent. 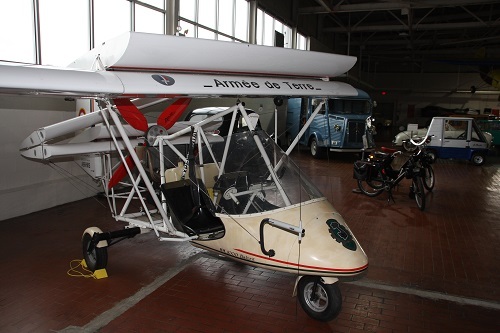 In addition, the folding wings and steerable front wheel make the Balerit drivable at low speeds, or it may be towed to a suitable area for takeoff. This particular plane was one of 29 examples sold to the French military, in this case the 516° Transport Regiment of the French Army (Armée de Terre). 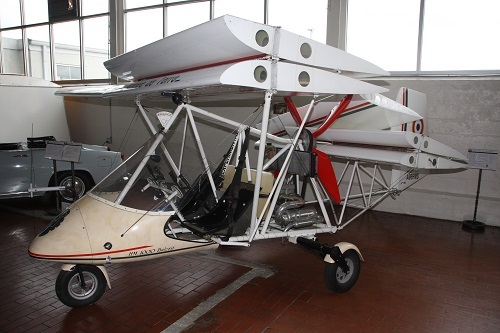 As such, it is a rare example of a factory-produced airplane. Empty Weight: Design – 450 lbs., Actual build – 860 lbs.